We are still in the midst of the Passover holiday. 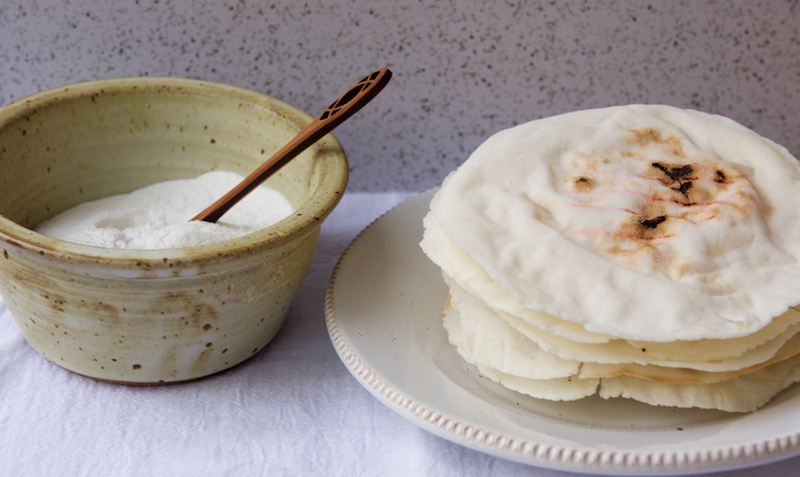 A little over a week ago I shared these sublime, gluten free rice flour polis (crepes) which Indian Jewish families traditionally make on Passover. They are to die for, with my American twist, drizzled with maple syrup. Mmmm. 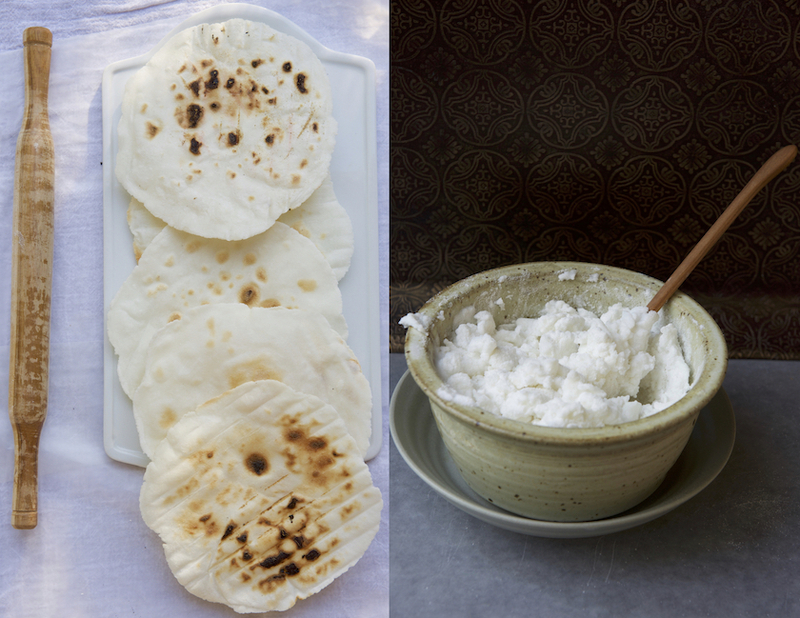 Today I share another Passover recipe, a rice flour Indian flat bread, called bakhri (similar to chapati), which the Bene Israel (Sons of Israel), the largest Indian Jewish community, make on the holiday instead of the everyday wheat flour version. It's crispy, almost like a cracker. I would even go as far as to call it rice flour matzah. I've written about both the rice polis and the rice bakhri in an article, Biblical rituals and spicy biryani//Discovering the Passover traditions of India's largest Jewish community, published in Haaretz English edition newspaper, in Israel, first online on April 19 and then in print on April 21. Publishing in Haaretz for the second time, the first was back in September 2015, and in Israel in particular feels like coming full circle. Speaking of firsts, the Passover article was translated into Hebrew and published in Haaretz's Hebrew online edition today. This was my first time being published in my first language. I almost said my mother's tongue, but that's incorrect, my mother's tongue is Marathi. I was really pleased with the translation and the article has a nice ring and rhythm to it in Hebrew. Put a cast iron pan or an Indian tava on low medium heat. In a medium bowl whisk together the flour and salt, add the boiling water in increments while mixing with a heat resistant spatula or a wooden spoon. Carefully knead, make sure the dough isn't too hot, for 3-4 minutes. Divide the dough into 8 equal parts, roll into each into a ball, and cover with a clean kitchen towel or a paper towel. 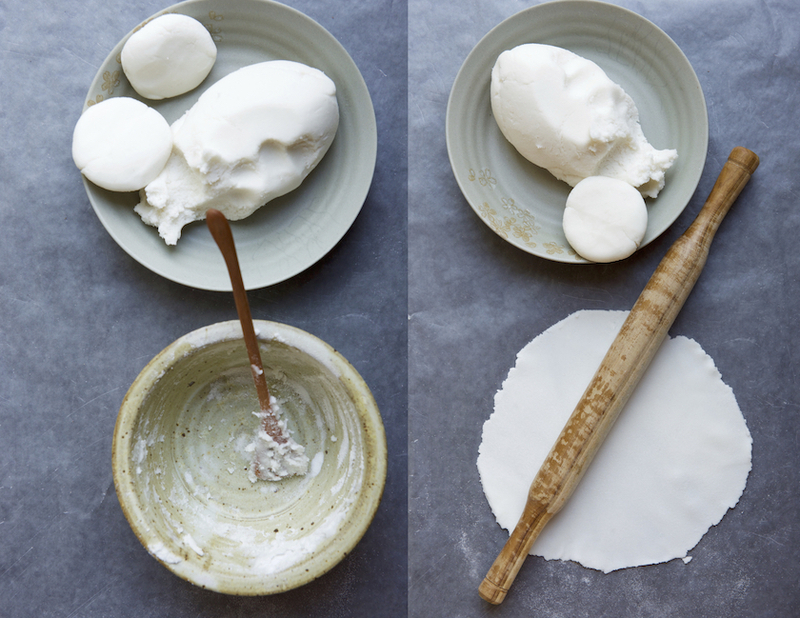 Press each ball of dough in between your palms and dip both sides in a bowl with the rice flour. Dust a rolling surface with rice flour. With the palm of your hand, press the dough into a circle while making sure it doesn't stick to the surface. Once in a while dust additional rice flour as needed. 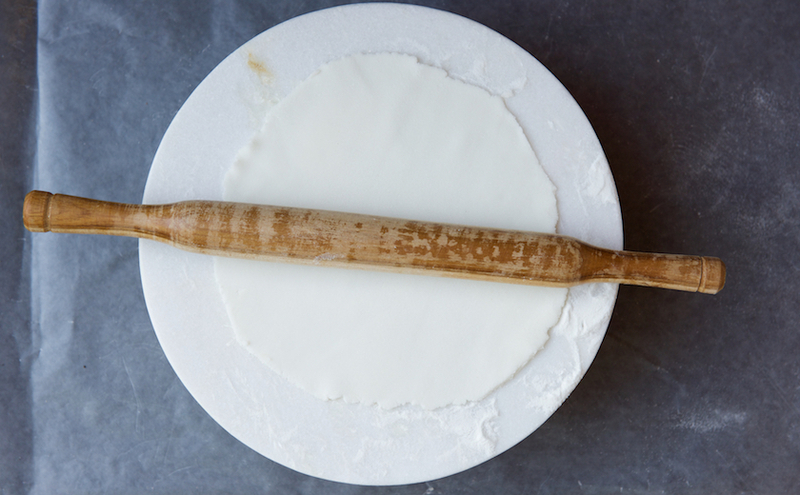 Finish rolling gently with a rolling pin. The edges around the circle of the rolled out flat bread aren't smooth with rice flour dough, as it is when rolling out wheat flour dough. 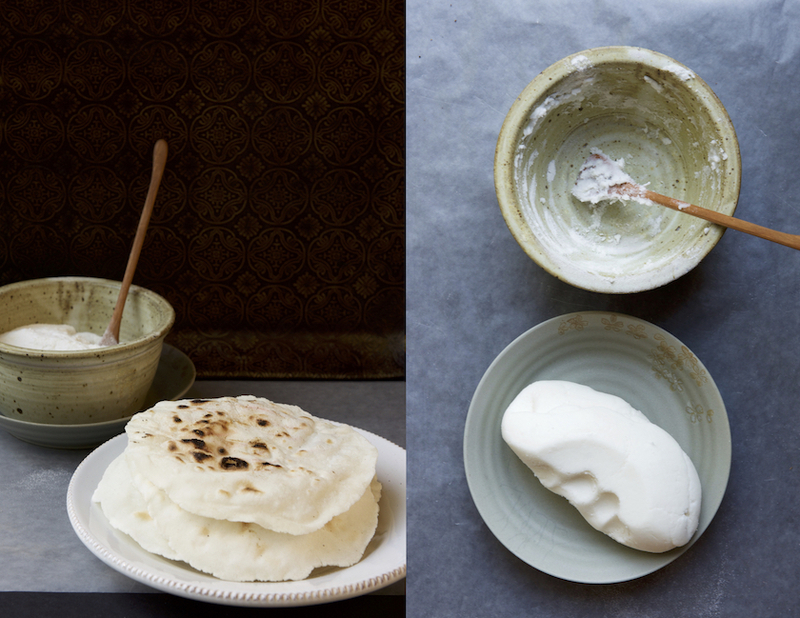 Lay the rolled out flat bread on your palm, heavily dusted side up (the bottom part while you were rolling), dust off any excess rice flour and cook in the pan, heavily dusted side, the one you just brushed off up. Brush the top with water and let cook for 1-2 minutes. Flip, brush with water and continue cooking for 1-2 minutes longer. Optional at your own risk: If you've got a gas stove (not flat surface) turn up the flame to medium/high and put the top side of the cooked flat bread directly on the fire for a few seconds. It will puff up. Take off the heat immediately as soon as it puffs up. For a flat surface stove, put a cooling rack or a wire grate (with little feet) on top of the burner. Turn the burner to high. After cooking the flat bread in the cast iron, flip the bread on the wire for a couple of seconds. It will immediately puff. Take it off the heat as soon as it puffs. Those flatbreads look delicious! A great recipe.